The biggest planet of our solar system -Jupiter, with its four moons is about to get fully illuminated by the sun, on the eve of 8th March. Jupiter will be at opposition on this day -opposite the Sun, with the Earth in between. At 4 am US standard time or ahead from mid night in Australia, Earth will pass between the Sun and the Jupiter, Jupiter will be shining more vividly than at any other time in the next 13 months. 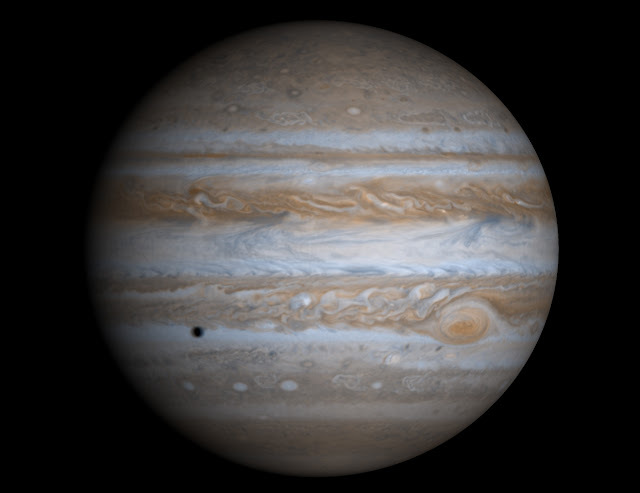 Jupiter will come within 664 million kilometers (413 million miles) of our planet on the night of 8th March. To visualize this event, all you need is the binoculars. If you stand with your back to where the Sun sets, Jupiter will be the brightest object in the sky. Duffy said "It will be the brightest object in the sky after Venus sets along with the Sun, so Jupiter would be easy to spot." You'll also be able to see its cloud streams that emerges as varying light and dark bands running along the whole planet. Geoff Gaherty says "The dark bands are called 'belts' and the light bands are called 'zones'. Normally at least two belts are visible, but on nights with even weather, eight or more belts may be visible."